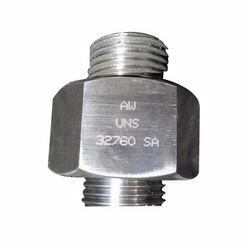 These Industrial Nuts product range are widely exported by our company. These products are made up of superior quality material. These products are widely used for construction purpose, in machineries, motor vehicles and many more. These are highly demanded by the clients due to its quality assurance standards. We offer for our customers a comprehensive range of products that include stainless steel nuts, Nickel alloy nuts, Monel nuts, Titanium nuts and many more. 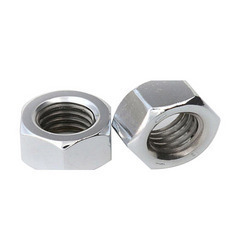 We are the largest exporters of Stainless Steel nuts across the globe. These are made up of high quality stainless steel. The products are made under the supervision of efficient technicians. The shape and size of these products are taken care off as per the customer’s requirements. These products are available in the market at most economical and reasonable price. We offer Nickel Alloy Nuts, which are made from good quality mixed alloys. The products are made so as to match the international standards. These products are fabricated after frequent quality checks. We are working towards providing complete customer satisfaction and our product range strives to achieve this objective. According to client’s needs, the products are offered at relatively low prices. Our company offers Monel Nuts that are made up from good quality stainless steel. They are available in a variety of shapes and sizes. They are made so as to provide essential grip that is required. The safety measures are also taken in consideration. These products are made according to the clients’ preferences. These are available easily in the nearby market at a competitive price. The Inconel Nuts are the products that are exported across the globe. These products are widely suitable in different types of motors and machineries and are frequently used in the industrial sector. 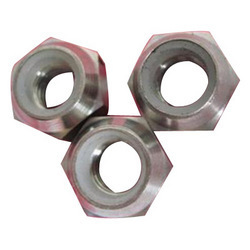 The wide ranges of products provided to our customers are Hexagon nuts, hexagon coupling nuts, hexagon thin nuts, square nuts, hexagon castle nuts, self locking nut, hexagon domed cap nuts. These products are available in various sizes and are easily available at an affordable price. 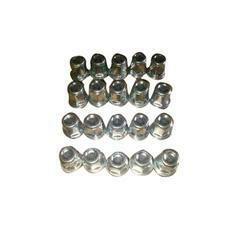 We are the prominent exporters of Hastelloy Nuts across the globe. These are made up of high quality stainless steel and copper alloys. The wide ranges of products offered by us are Hexagon nuts, hexagon coupling nuts, hexagon thin nuts, square nuts, hexagon castle nuts, self locking nut, hexagon domed cap nuts. These products are available in the market at most economical and reasonable price. 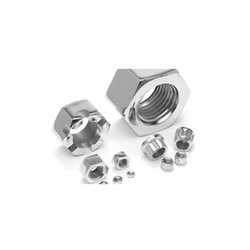 The Alloy 20 Nuts are the products that our company exports across the globe. These products are widely used in different types of motors and machineries. These products are available in various sizes and are easily available at an affordable price. These are highly effective in all the industrial sectors. 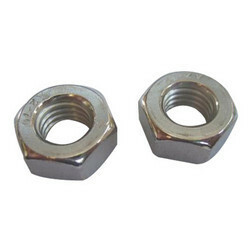 The Alloy 20 nuts are made up of high quality raw materials and are fabricated as per our clients’ specifications. The Duplex Steel Nuts are the products that are exported across the globe. These products are frequently used in the industrial sector. The wide ranges of products provided to our customers are Hexagon nuts, hexagon coupling nuts, hexagon thin nuts, square nuts, hexagon castle nuts, self locking nut, hexagon domed cap nuts. These products are available in various sizes and are easily available at a cheap cost. We offer Cupro Nickel Nuts, which are made from good quality mixed alloys. The Cupro Nickel Nuts are made so as to match international standards. These products comply with quality checks on various parameters, to provide optimum degree of satisfaction. These are used for multipurpose reason and are made up of high quality raw material. These products offered by us are available at nominal prices. We offer a wide range of Titanium Nuts that are fabricated from high grade raw material and used in different industrial applications. 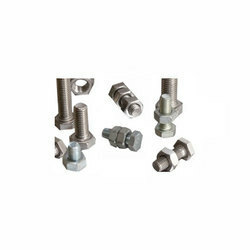 These titanium fasteners are available in various specifications according to the various industrial requirements. These products are made according to the clients’ preferences. These are available easily in the nearby market at a competitive price.